At the mouth of the Glenwood Canyon, the Yampah Hot Springs bubble up from deep in the Earth and trickle blissfully to the Colorado River. The Ute tribe knew about this spot for centuries and called it Yampah – meaning “Big Medicine.” And “BIG” is an apt name – the Glenwood Hot Springs is the world’s largest hot springs pool. Over a million gallons of water fill the main pool at a perfect bathtub temperature (90 degrees). The pool is over a football field long, has a half-dozen swim lanes, and two diving boards. It is absolutely massive! Even the “smaller” therapy pool, is nearly the size of a basketball court. At a comfortable 104 degrees, it’s heavenly. 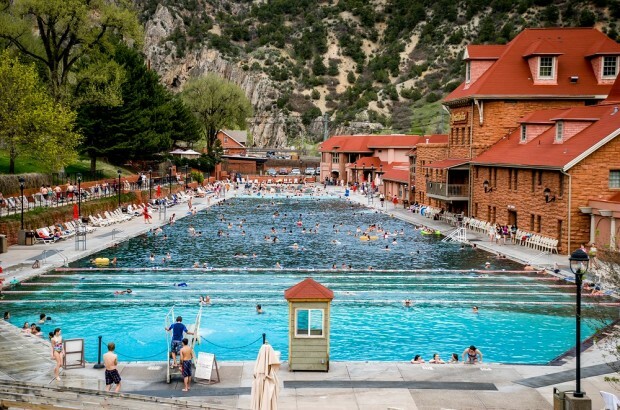 Opened in 1888, the hot springs pool in Glenwood continues to host hundreds of thousands of visitors every year. 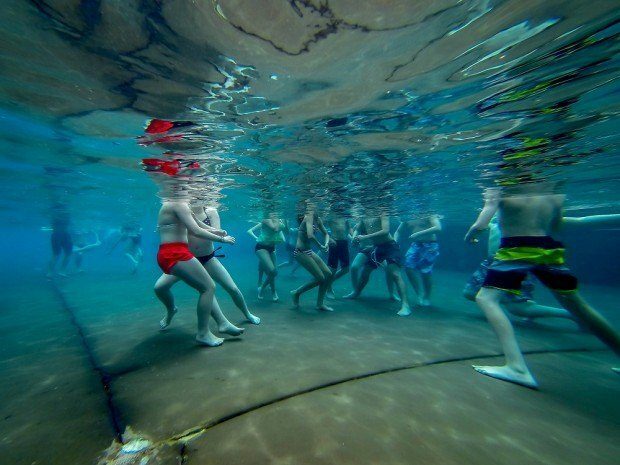 The pool has been in continuous operation for over 125 years, including during World War II when the facility was operated as a U.S. Navy Convalescent Hospital. Returning GIs discovered the healing powers of the mineral waters. In 2008, the Spa of the Rockies at Glenwood Hot Springs was built. This world-class spa facility occupies the historic building right next to the pool. Unfortunately, I didn’t have time to take in a massage, but it’s on my list for next time. 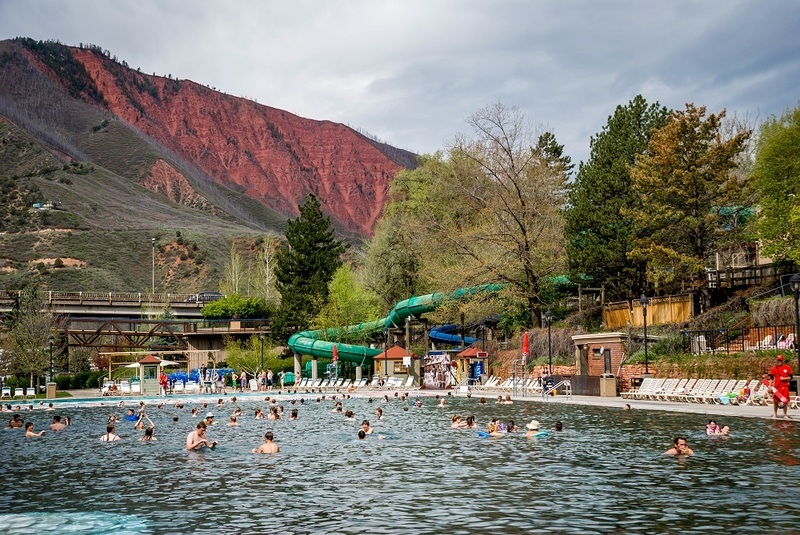 As I approached the red sandstone entrance to the Glenwood Springs pool, I immediately smelled the sulfur in the air. Crossing through the locker room, I was filled with anticipation. Emerging from the locker room (or “bathhouse” as they call it), the pools stretched out for over a quarter mile before me. 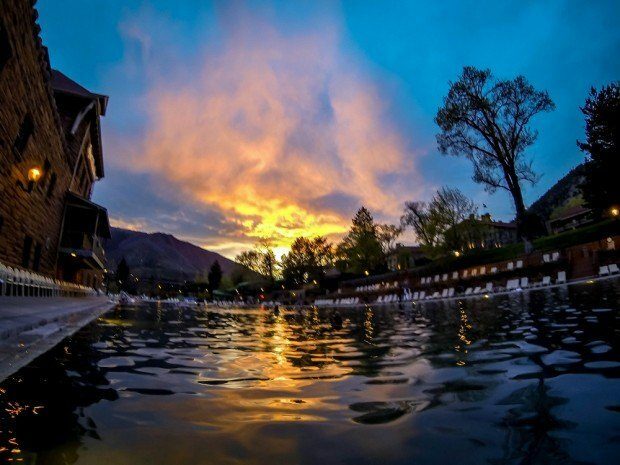 Sliding into the “small” therapy pool, I could imagine the minerals seeping into my skin and healing me with the “Big Medicine.” Lounging in the pool, watching the sun set on the mountains and the stars come up in the sky was perhaps the perfect way to end the evening. I was thankful for experiencing the healing waters after my day full of adventure. I’d spent the whole afternoon taking in the sights and thrills of the Glenwood Caverns Adventure Park. This adventure park is perched 1,400 feet above the city on Iron Mountain. A serene and scenic gondola ride up the mountain belies the thrills and terror atop the mountain. I made straight for the Alpine Coaster – the first such coaster in the United States. This is very different from the alpine slide in Steamboat Springs I experienced last year. The alpine coaster is a true coaster on rails allowing for maximum speeds and zero possibility of flipping (trust me, I tried it with a wide open throttle!). After numerous runs on the Alpine Coaster, I descended 150 feet down into the mountain to experience one of the two natural caverns on the property – The King’s Row Cave. The informative tour guide, Kathy, explained the unique formations of the cave and explained how the geology of this cavern is related to the Glenwood Hot Springs Pool over a 1,000 feet below. Special thanks to the Glenwood Hot Springs, Glenwood Caverns Adventure Park, and Visit Glenwood for hosting my visit. As always, opinions of the fast and relaxing are my own. 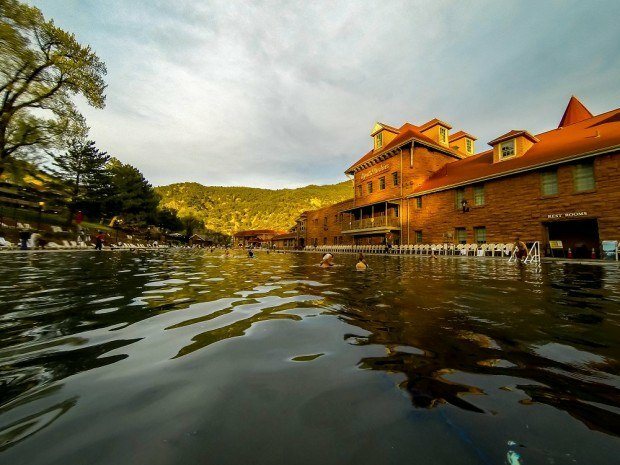 What do you think about Soaking Up History at the Glenwood Hot Springs? Looks so amazing. I’ll be visiting some hot springs in Ecuador next week & can’t wait! This looks awesome! 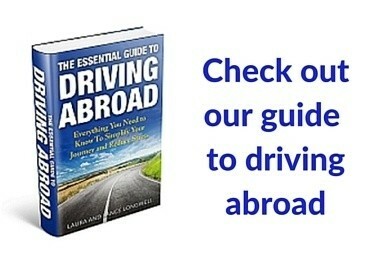 I need to get there soon! Looks so amazing. 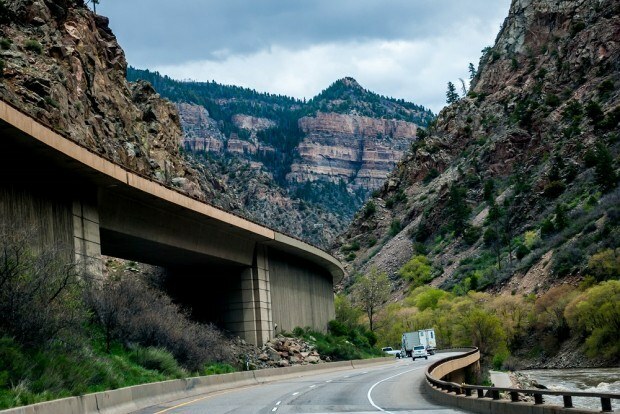 I never been to Glenwood, but seems like it getting time to visit the city. 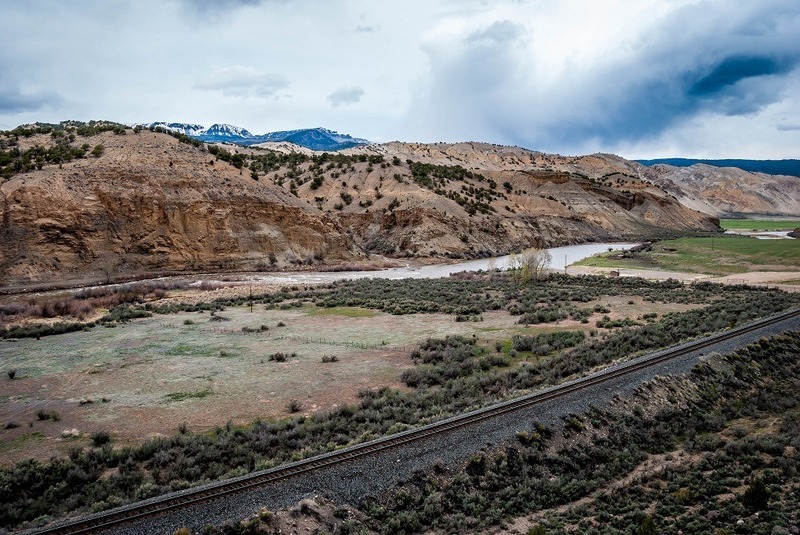 Heading up there this summer, so looking forward to the hot springs!